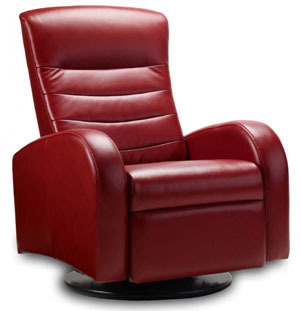 Seat Depth 21" - Seat Height: 18.5"
Fjords Norddal Swing Recliner with 360 degree rotation for manual and around 90 degress for the power recline model. 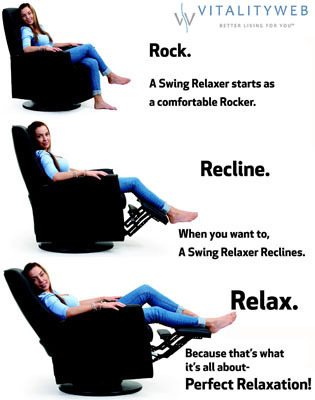 Optional Power Recline are $300 Additional. 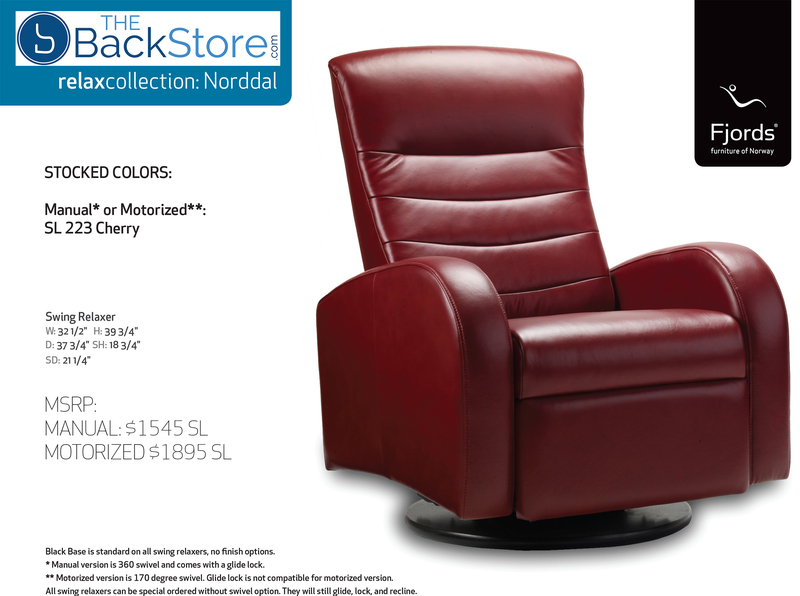 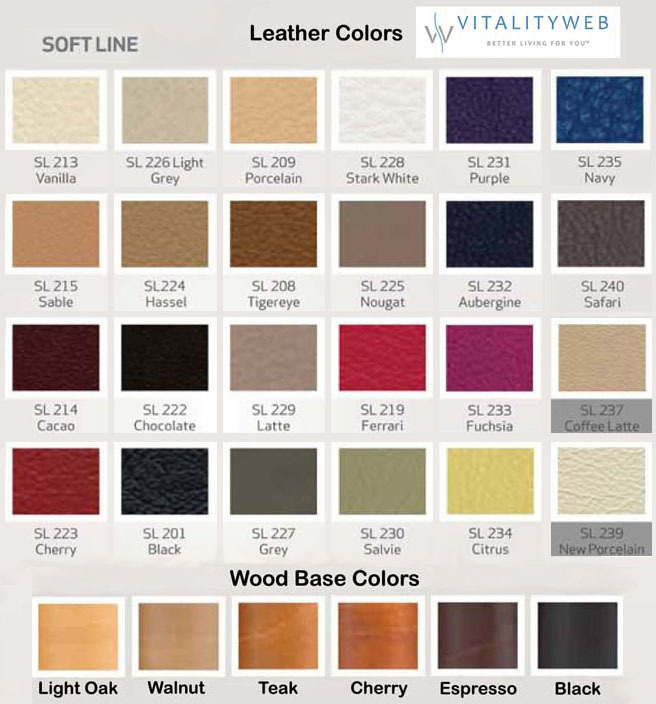 Stocking colors are Red and Stark White for the Manual Recline and Black for the Electric Power Recline model.